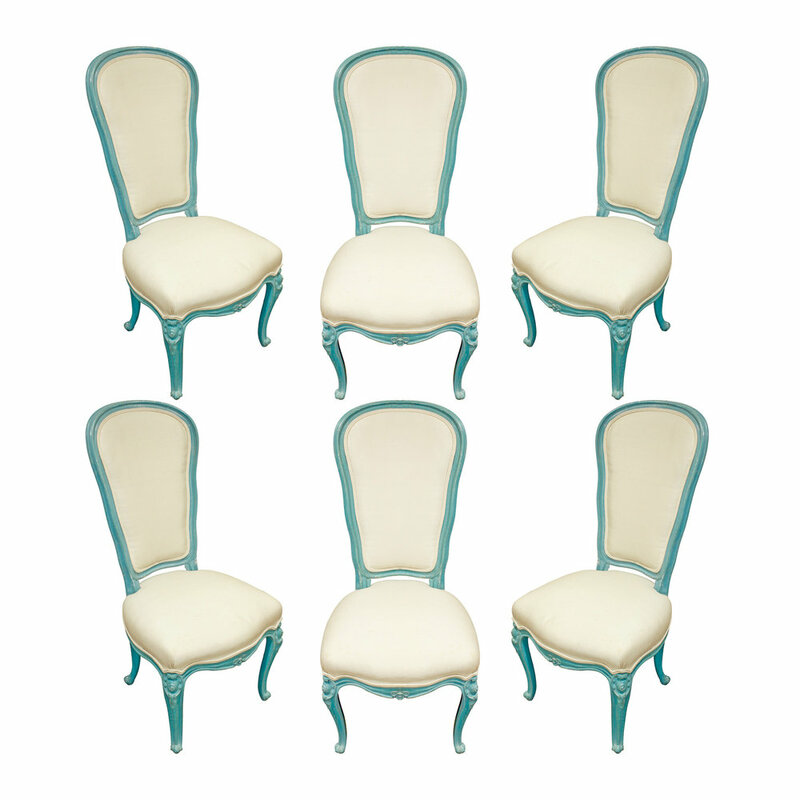 Set of 6 Louis XV dining chairs, model #9562, with antique blue lacquered frames by Auffray & Co. American 1970. The fabric is original and has wear. 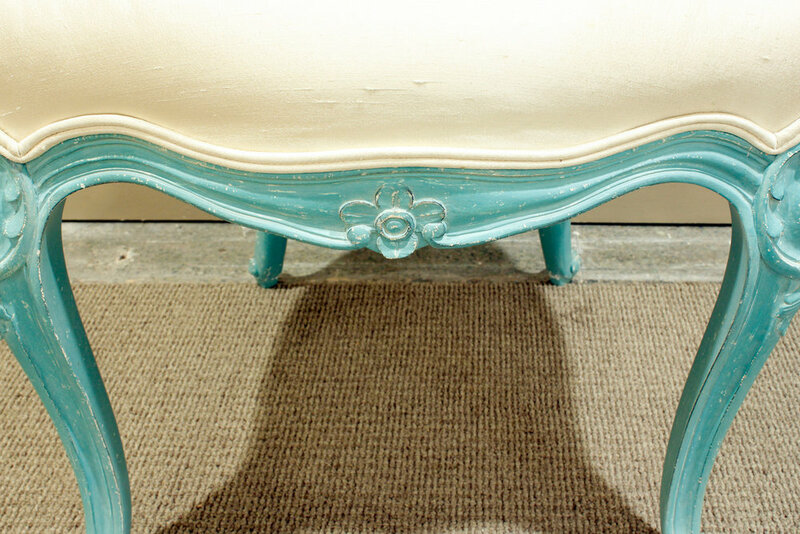 We can reupholster them for you.